Tesla paid off its Department of Energy loans yesterday, nine years ahead of schedule. They made a pretty big deal out of being the first and only to do so, and they made the government, and us taxpayers, $12 million. The information is unmistakably incorrect. It’s pretty well-known that almost exactly two years ago – May 24, 2011 – Chrysler Group LLC repaid (in full and with interest) U.S. and Canadian government loans more than six years ahead of schedule. Question: short memory or short-circuit? Chrysler did repay everything that was asked of it, but they're really opening a can of worms here. 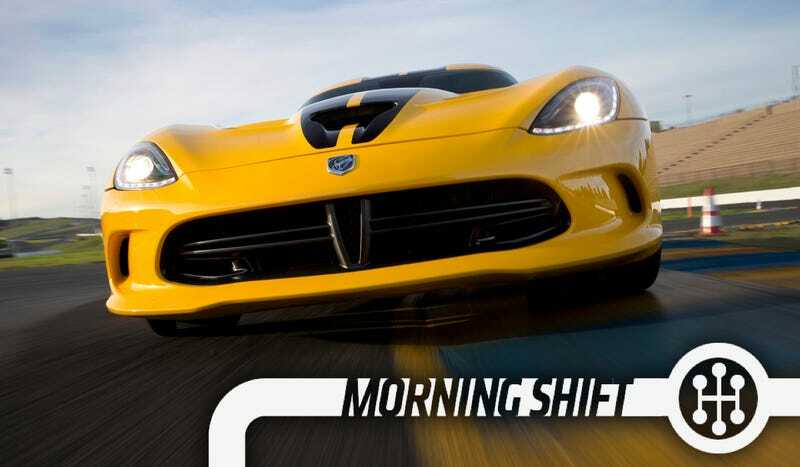 Of the $12.5 billion loan, Chrysler repaid $11.2 billion. That left $1.3 billion that will probably never be repaid to the government. So the loan to Tesla: $12 million profit. The loan to Chrysler: $1.3 billion loss. Chrysler also applied for the same loan program that Tesla received from the DoE, but withdrew its request in 2012. It's unclear why Chrysler would bring this up. Tesla didn't mention Chrysler anywhere in its announcement or provoke them in any way. The loans that Chrysler repaid were also very contentious. Yes, it is good that they repaid all they asked, but brining up anything as politically motivated as the automaker bailout is probably not the best decision, especially now since people aren't thinking about it anymore. Maybe they're ticked that the Circuit EV never took off. If you say that the only barrier to you getting an electric car is the high price, then Chevy just made you find another excuse. When it goes on-sale, the Chevy Spark EV will cost $27,495, which means that the federal tax credit will bring that price down to $19,995. That compares quite favorably to the Nissan Leaf ($29,650), Fiat 500e ($33,200), and the Mitsubishi i-MiEV ($29,975). The Spark also has 400 pound feet of torque, which I believe makes this one of the cheapest stump pullers you can buy today. The new Corolla is set to be released imminently, and Toyota has released a SWEET picture of its rear light. I know we aren't teaser fans, but the Corolla is one of the best selling cars ever made, so this is important. If this strange angle shot of the rear light is any indication, then what we're getting for the Corolla is a toned down version of the Furia Concept that we saw in Detroit. The Toyota Furia Concept Asks: Why Are You Still Buying Corollas, America? Not a bad thing, the Furia was a handsome car. Of course, if they tone it down too much, then it will just be another boring car that will sell like Wonder Bread. The Center for Auto Safety is calling for the recall of five million Jeep Grand Cherokees built from 1993 until 2004. The reason behind the recall request is the fire hazard they say is posed by the location of the gas tank and fuel filler, and they cited that three children have died in car fires since 2006 in Grand Cherokees and 157 total have died in fires. A letter was sent to Fiat Chairman John Elkaaan to express their concern. As we reported last night, Ford Australia has announced that it will cease operations at the end of 2016. High operating costs, a fragmented market, and a strong Australian dollar has led to $578 million in losses over the last five years. That isn't sustainable, and declining sales meant that there was a long road to making it profitable again. Ford will still have a presence in Australia, but the cars will all be imports. That means that the Falcon, Ford's last rear-wheel drive sedan, will live on until 2016 and then be relegated to the annals of history. That's a shame. It also means that Holden fans will have a lot to gloat about in the near future. What do you make of Chrysler saying that they were the first to pay off loans? Why would they bring that up? Why do they care about Tesla's statement?